Every summer comes around and I just can’t get enough watermelon. You can probably tell I’m watermelon obsessed, as this is my third watermelon drink in a row! Watermelon is by far my favorite summer fruit and I could easily go through 1-2 watermelons a week just by myself! 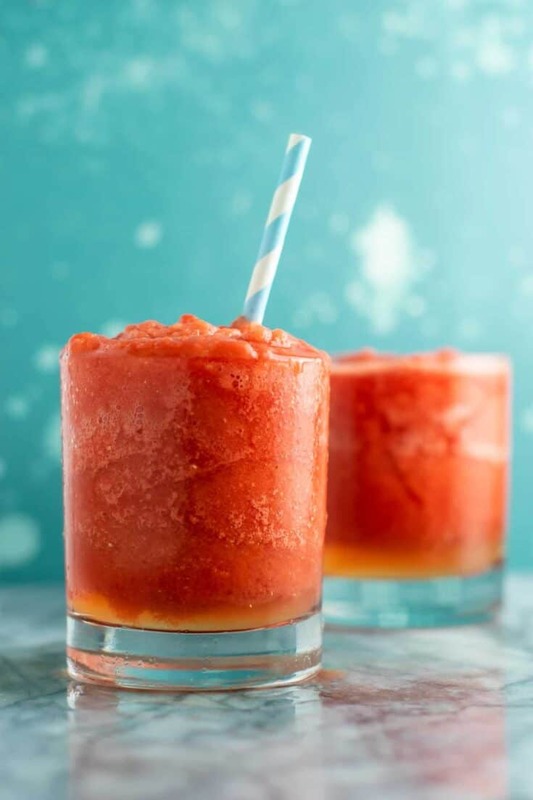 Summer heat is rough and there’s nothing like a cool and icy drink to help you cool off! Robbie is a landscaper, and this time of year is just crazy for him. He mows 40 – 50 yards in two days, along with working on other projects three days a week. When you work that much in the heat, it’s so so important to stay hydrated. The coconut water in this recipe is a great way to help replenish electrolytes! 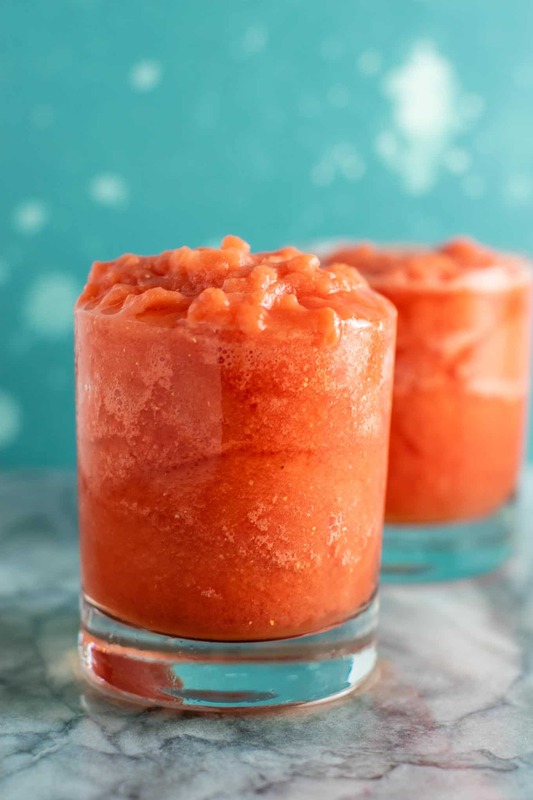 All you need for this watermelon drink is frozen chunked watermelon, coconut water, pure maple syrup, and fresh squeezed lime juice. I froze the watermelon in chunks instead of adding ice to this recipe. 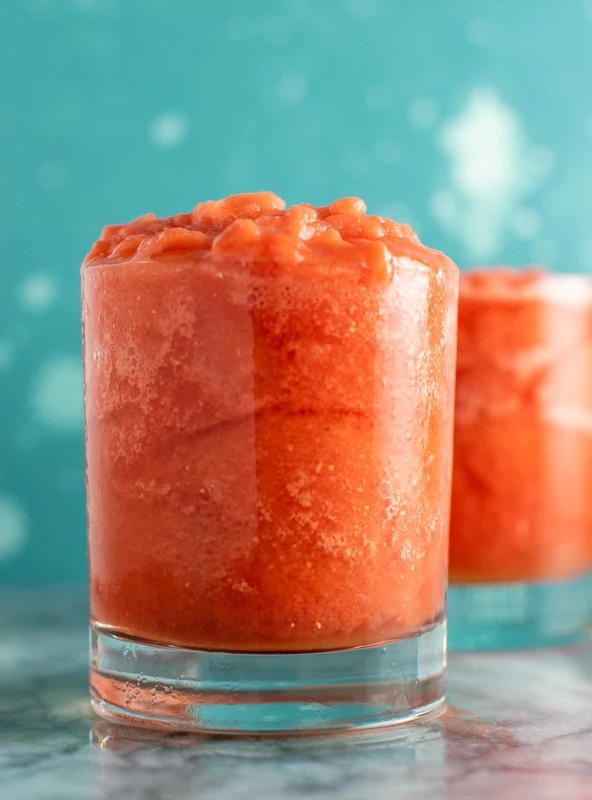 The result is a seriously addictive slushy texture! You can add lime juice to taste, but I like to add at least a half of a lime. It’s so light and icy and refreshing! I’ve seen a lot of watermelon drink recipes that use loads of sugar in it which I just don’t understand! Watermelon is sweet as is and there is no need to add loads of unhealthy sugars to it. I use just a touch of maple syrup to sweeten this drink and it is perfect, healthy and deliciously addictive! 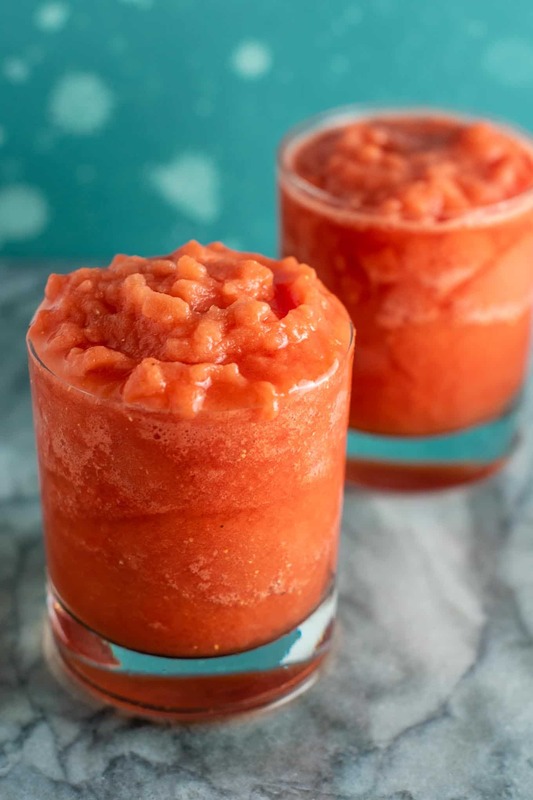 Try this recipe for a healthy and delicious way to cool off this summer! 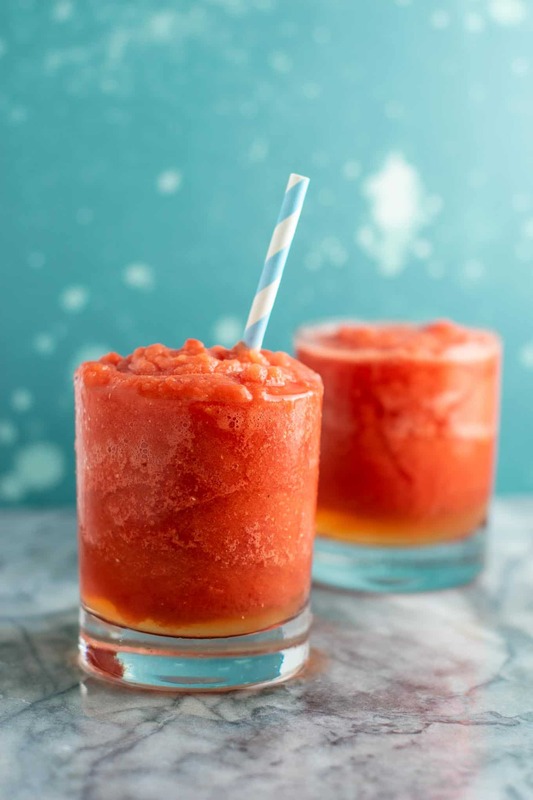 Healthy and refreshing frozen watermelon lime cooler made with just four ingredients. So good! Loved the coconut water and lime together!